A small dog who went missing more than a month ago has been reunited with her owner after surviving an unimaginably harrowing ordeal that nearly cost her her life. 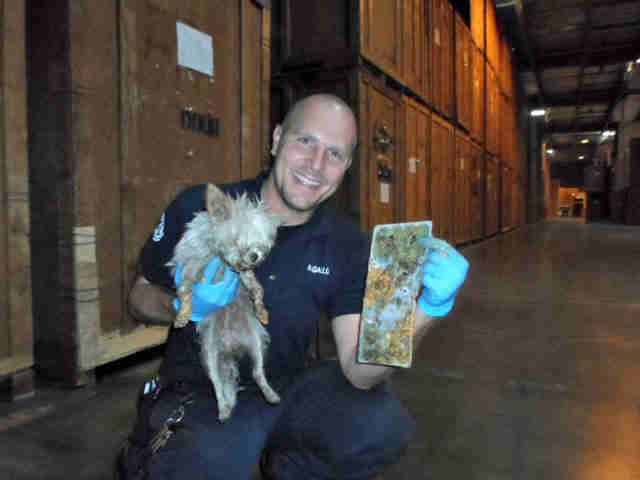 Mia, a petite, 4-pound chihuahua, was discovered last week in an industrial warehouse in Arizona, alone and on the verge of death. 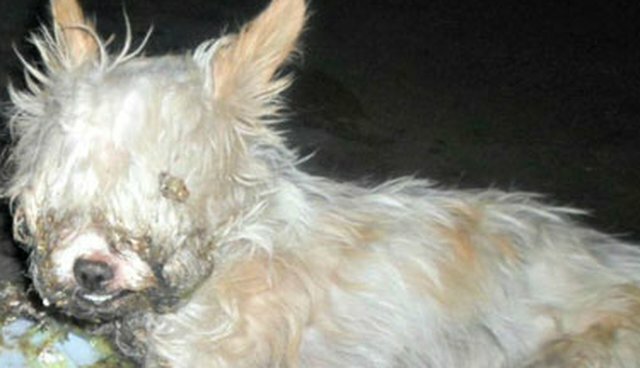 The dog had become hopelessly stuck in an adhesive trap designed to catch rodents - a particularly cruel form of pest control that renders its victims immobile, causing them to slowly die of starvation with no way of escaping. That was nearly Mia's fate. It's unclear just how long Mia had been stuck in the trap, but she likely didn't have long to survive. 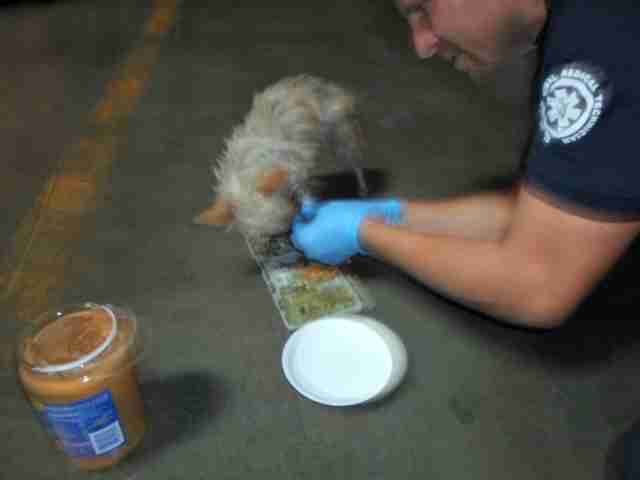 By the time rescuers from the Arizona Humane Society's Emergency Animal Medical Technicians (EAMT) arrived, she was so covered in the thick glue that she was having a difficult time even breathing. Fearing that the dog's skin would tear if they tried to simply pull her free, EAMT's Andy Gallo used a surprising substance to soften the adhesive trapping her: peanut butter. Sure enough, that did the trick. 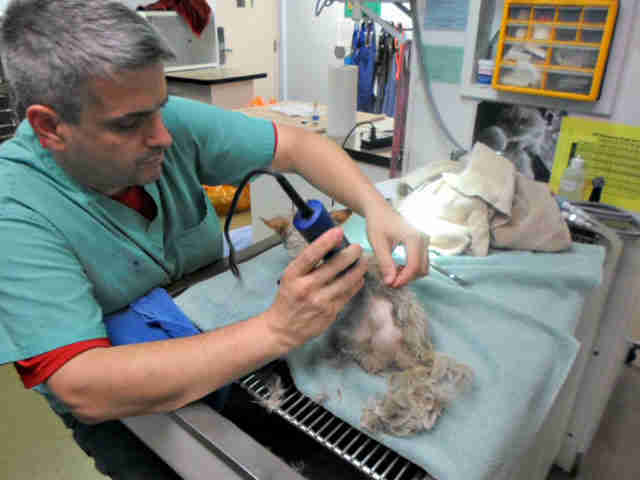 Afterward, Humane Society staff gave Mia's hair a trim, careful to remove the dried clumps of glue still stuck to her body. Shortly after posting news of the dog's near-death experience online in hopes of finding her a forever home, the Humane Society discovered that she actually already had one. Fortunately, Mia's rightful owner saw the post and realized the dog was hers; she had been missing for weeks. The little dog couldn't have been happier to be reunited. 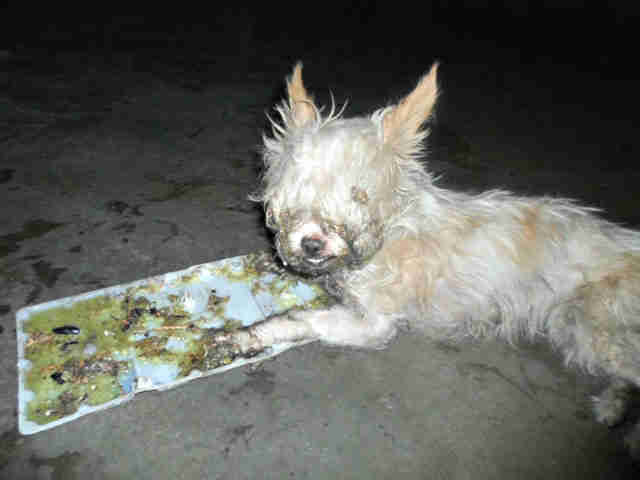 "When Mia saw her owner, she immediately recognized her and started jumping in her kennel and barking with excitement," the Arizona Humane Society wrote online. "She leaped out of the AHS employee's arms and into her owner's arms and started kissing her face and licking away her tears of happiness. It was a very happy and emotional reunion."